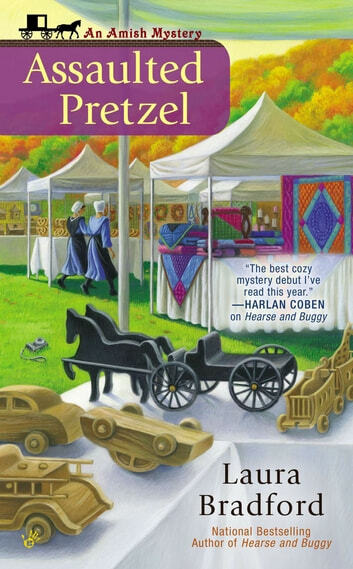 Claire Weatherly found the simple life she always wanted when she opened a gift shop in Heavenly, Pennsylvania—a small town in the heart of Amish country. But when murder disrupts her Heavenly home, it’s up to Claire and Detective Jakob Fisher to find the not-so-simple truth. The quiet town of Heavenly is buzzing with excitement over the latest guests at the local inn, Sleep Heavenly. Toy manufacturer Rob Karble is in town to meet the members of the Amish community who will soon be crafting a new toy line for his company. But when word gets out that Karble intends to use the Amish designs without employing the Amish to make them, someone sends the interloper to his final reward. No one wants to believe anyone from the Amish community could commit such an act, but as Claire and Detective Fisher have learned, no one is above sin—or suspicion. I waited a while for this book and it didn't disappoint it made you wonder to the end who done it with romance in it too. Everyone, English and Amish alike, are talking about toy maker Rob Karble being in town to make a deal to distribute toys made by the local Amish. However, not too long after word leaks he intends to use his factory instead of the local Amish, he is found murdered. 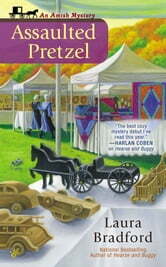 Once again, Claire Weatherly finds herself getting involved to clear her new Amish friends. I still can’t get over how strong the characters in this series are. They pull you in and make you care about every page. The plot is good, and kept me guessing until the end. I did find the romantic triangle a bit too prominent, and yet with the way it ended, I can’t wait to find out what happens next there as well. The strong characters are to blame for that contradiction.